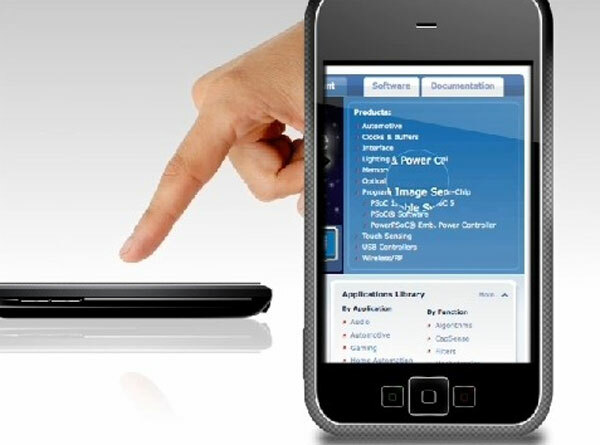 Cypress Touchscreens produce displays for a number of smartphones which include the Pam Pre and the Samsung i8910. They have come up with a technology for their touchscreens that recognizes your finger hovering over the screen rather than touching it. As you can see in the video below, the touchscreen recognizes finger movements as the finger passes over the screen without the user actually touching it. This certainly seems like a very useful technology and it will be interesting to see how it is developed, who know in a few years we could all be using hover screen smartphones instead of touchscreen ones.